At Pope Parker Jenkins, P.A., in Newberry, our trial attorneys have the skill and experience to guide our clients through the court process in a variety of practice areas. 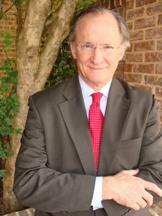 Our lead trial attorney Tom Pope III has tried cases in state and federal courts for more than 39 years. Tom is a fellow in the American College of Trial Lawyers, past Chair of the South Carolina Chapter of American College of Trial Lawyers (2015-2017), and past president of the South Carolina Chapter of the American Board of Trial Advocates. 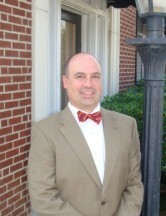 He has been selected for inclusion in South Carolina Super Lawyers. Tom represents primarily plaintiffs in personal injury, insurance, and business matters, but also represents defendants in a variety of matters. The South Carolina Chapter of the American Board of Trial Advocates awarded Tom Pope “The Jeter E. Rhodes, Jr. Trial Lawyer of the Year Award” for 2017. 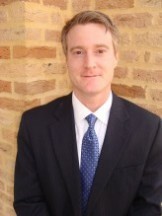 Chad Jenkins has an active practice in representation of persons charged with felonies or misdemeanors. Although each case is different and fact dependent, Chad endeavors to obtain the best result for his clients by preparing the case as if it is going to trial. Chad also has a busy practice helping clients in family court, in civil cases involving personal injury, and in cases before the Workers Compensation Commission. Kyle Parker handles business, probate, estate, and real estate matters for clients including estate planning, probate administration, business formations, real estate, and in litigation matters in all of these areas. 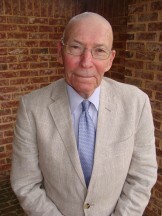 Joe Hudgens, of counsel to the firm, continues to advise and assist in real estate, business, and probate matters, after a distinguished 45+ years as a practicing attorney. Together, the legal team at Pope Parker Jenkins has over 100 years of experience. In recent years, Pope Parker Jenkins has obtained excellent results for its clients, either by trial verdict, arbitration award, or settlement. Keep up with the latest news and information from Pope Parker Jenkins.